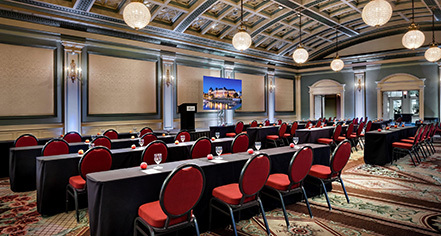 To manage the expectations of a large city such as Victoria, Fairmont Empress offers 23,000 square feet of meeting space across 22 rooms. State-of-the-art services, audiovisual technology, expert event planners, and comprehensive catering, is the specialty at Fairmont Empress. 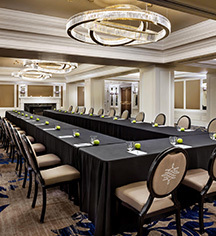 The hotel features Victoria’s two largest ballrooms, a dedicated boardroom, and executive meeting space with harbor views. The Fairmont Empress never fails to impress. In the midst of a historic renovation, the hotel is being restored to all its glory, and the meeting spaces are part of that. They have received a makeover, updating rooms with designs inspired by the natural beauty of Vancouver Island, while modernizing the facilities with high quality audiovisual equipment while maintaining historic details. Whether hosting a meeting of 12, a professional conference, or product launch for 1,500, the Fairmont Empress has the professionals on hand to organize, plan, and oversee the crucial details to make every event a success.